Amy Drozdowska (aka Amy Dorn) is an award-winning audio journalist and multimedia producer with years of experience in public radio journalism and podcasting – in the US and internationally. She’s produced, reported, edited and hosted radio programs for a variety of networks and institutions, including NPR, the BBC, and Radio Netherlands Worldwide. She’s worked as a staff producer for WBEZ Chicago on Navy Pier, where she had to produce radio under the distraction of singing pirates; and for Radio Netherlands Worldwide in Hilversum, Holland – the highest point in the lowlands, where white cows grazed just outside the office windows. As a Fulbright grant recipient, she worked with the English Section of Polish Radio’s External Service as a consulting editor, trainer and contributing producer in a building rumored to be a former Communist prison, with disturbingly thick sound-proofed walls as testament. Among other productions there, she developed a new series for the service adapting and dramatizing Polish fairy tales for radio. 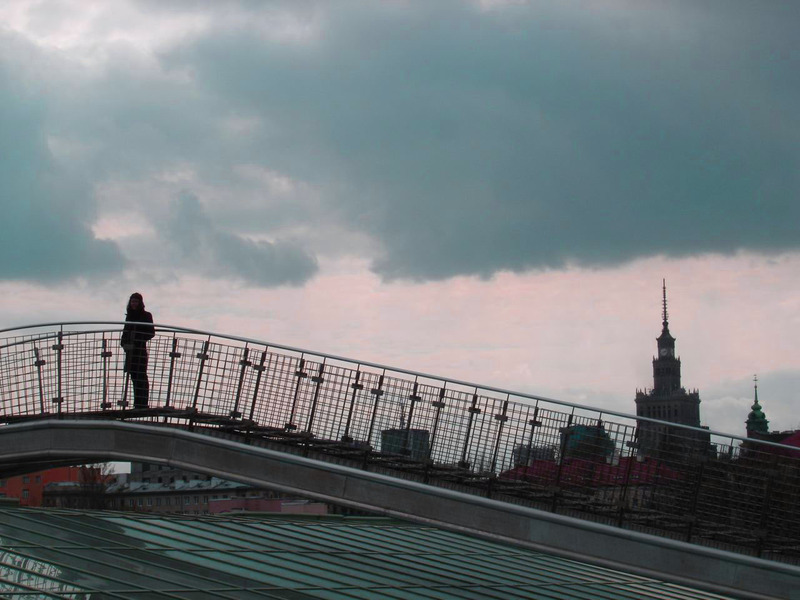 Also while in Warsaw, Amy co-created the capital city’s first official audio tours. She’s reported from Poland for a variety of programs and networks abroad, including NPR and This American Life. She’s also produced Polish language work for Polish Radio’s award-winning Features and Documentary section (Studio Reportażu i Dokumentu). Amy is the audio producer of the PBS animated series Blank on Blank, where she worked with institutions like the Library of Congress, the Pacifica Radio Archive, the Studs Terkel Archive and the British Library to transform old tape and “lost” archival interviews into animated shorts. Amy also produces all kinds of multimedia work, including web-based virtual walks, on-the-spot audio tours, and audio portraits for photo exhibitions and video installations. One such production is on permanent display at New York City’s Jazz at Lincoln Center. She received her B.S. in Radio/Television/Film and Anthropology from Northwestern University in Evanston, Illinois; and her M.A. in the Social Sciences from the University of Chicago, where her Master’s thesis, “Listener Call-In: Narrating Polish Immigrant Identity,” was awarded the Johnson Prize recognizing it as the best work of her graduating class. Amy’s audio work has been adapted for the stage and screen. She’s won an array of awards for her radio pieces, including a Third Coast International Audio Festival Award, an Edward R. Murrow Award, and broadcasting’s top honor, a Peabody.